The seasons are changing, and so are the shows! This fall and winter is the perfect time to see some of the best holiday themed shows to get you and your family in the holiday spirit. Some of the best include Radio City Christmas Spectacular, The Nutcracker, and the unparalleled Trans-Siberian Orchestra. Perfect for fans of all ages, these shows have been mainstays of the holiday schedule. At TicketNetwork, all three of these shows are available at a great price! Additionally, here is why you should get your holiday tickets to see one (or all of them) live! First of all, the Radio City Christmas Spectacular has been a captivating Christmas show for New Yorkers and visitors to the Big Apple from around the world since the beginning. The show, which premiered in the 1930s, has evolved into a true New York City Christmas tradition. The extravagant 90-minute Christmas Spectacular Show features more than 140 performers who offer a sophisticated and incredible performance, festive dance numbers with the famous Rockettes, the legendary wooden soldiers, Santa and the magnificent performance of the Christmas Story. Not to forget the lavish costumes and the stage set. Every year more than one million spectators come to see the most viewed live show. America’s most popular Christmas show “The Radio City Christmas Spectacular” returns to the Radio City Music Hall on Friday November 9 at 11:00 am. If you are in New York City this Holiday Season, hurry up and get your tickets today at TicketNetwork. It is hard to deny that “The Nutcracker” with the Music of Pyotr Ilyich Tchaikovsky is one of the most popular ballet performances during the holiday season. Ballet enthusiasts will recognize the melody of the Nutcracker immediately. However, even for those who are unfamiliar with Tchaikovsky’s Christmas ballet will recognize the high pitch sounds of the Sugar Plum Fairy. The fairy tale, The Nutcracker, which has enchanted people for more than two centuries now, is well-known worldwide. Every year during the Holiday Season the melodies of Tchaikovsky awaken the dancers with the magical sounds. Let yourself be seduced by the story of Marie, who receives a nutcracker as a gift. Unfortunately, he loses a tooth, as Marie’s brother wants to try him out. As she tries to repair the nutcracker she finds out about his exciting journey filled with love and bravery. Be a part of this magnificent fairy tale of The Nutcracker this season and get your tickets today. The producers mix it up each season, so each tour has its own unique twist on all the classics you’re sure to love. A spectacular event awaits you! Catch the tour as it makes its way across the US this fall! An event that can only be seen around the holiday season is coming to a venue near you. Secure your Trans-Siberian Orchestra tickets now to be part of one of the most incredible shows of the holiday season. The holidays are one of the happiest times of the year. Unfortunately, they can also be one of the most stressful. Between the busy shopping malls, last-minute gifts and extensive travel, unwinding is a crucial part of any successful holiday. Kids have their Egg Nog and Christmas cookies. Adults that are in need of something a little stronger have come to the right place. There is a variety of holiday flavors that blend perfectly with alcohol. Peppermint, cocoa as well as cinnamon can all be vital ingredients to a much needed holiday cocktail. Here is a selection of the tastiest that I came across. An alcoholic Christmas cookie? Not quite, but close enough. This delicious drink is simple and can be made quickly. With only three ingredients plus ice, you can get in the Christmas “spirit” in no time. However, I must warn you, this drink packs a punch. Nearly complete, just fill a cocktail shaker with all of these ingredients and ice. Shake thoroughly until chilled, and serve with a delicious assortment of Christmas cookie. Enjoy this delicious combination of peppermint and mocha while roasting chestnuts by the open fire. Another worthy candidate of the holiday drink list, the Snowball is another tasty drink. An intricate looking drink, the Snowball is mainly just liquor, cinnamon and ice. If Little Johnny won’t let you hear the end of not getting him the favorite gift on wish lift, a couple Snowballs will help you forget all about it. Throw all of these ingredients in to a blender, sans cinnamon stick. Blend for about ten seconds. Pour into a glass of your choice, and garnish with a little more cinnamon powder and the cinnamon stick. This is one Snowball fight where you will be the winner no matter what. After all those pricey holiday I’m sure plenty of us out there will be ballin’ on a budget. As long as your spice cabinet is stocked, Mulled Wine is here to save the day. The holiday, alcoholic alternative to fruit punch, Mulled Wine is also a go-to for holiday parties. Who says Christmas colors have to be red and green? The Candy Cane Cocktail is the perfect drink for Mrs. Claus after a stressful holiday season. This pink-hued drink is perfect for dessert or a sweet tooth craving. With hints of mint, berry and peppermint, this drink has plenty of holiday flavor. After you coat the rim with the crushed peppermint candy, add the vodka, creme de cacao, grenadine and ice to a cocktail shaker. Shake vigorously. Pour in to a martini glass, and top the drink off with half-and-half. Who needs a White Christmas when you can have a pink one instead? If you have a little more Ebenezer Scrooge in you than Kris Kringle, the The Grinch is for you. This green tinted drink is easy enough to make and even easier to enjoy. Despite the name, The Grinch will actually get you back in to the holiday spirit once you’ve enjoyed one or two. Add the Midori, lemon juice and simple syrup over ice in a cocktail shaker. Shake well until chilled, pour through a strainer into a martini glass. Add the maraschino cherry to accent the green drink. All these drinks will immediately put you in the holiday spirit, but remember to enjoy them responsibly. Happy Holidays from TicketNetwork! The seventh installment of the Fast and the Furious franchise, Furious 7 just nailed down an unprecedented $15.8 million on early Thursday previews. Projections for the full opening weekend performance at the Box Office for the film are estimated to be in excess of $160 million, which would land it among the biggest opening weekends of any movie ever. We’ll have to wait until Monday to see the final results, but we’re pretty sure the film world will be impressed, though the Best Picture Oscar prediction from star Vin Diesel is dubious at best. Did you begin this holiday season with the resolution that you’d get your shopping done early this year, but then blink and realize it was two days before Christmas? It happens. Unfortunately, by this time of the year, many store shelves have been cleared of all the “good” items and, quite frankly, there just isn’t anymore time to wait in lines or order online. 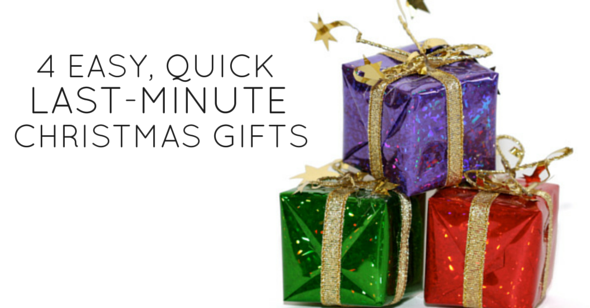 Thankfully, there are a few last-minute gifts you can pick up — for only a few minutes of your time. Who doesn’t love receiving a gift card? As the gift giver, it may feel like a slightly impersonal gift, but I’ve yet to come across a person who didn’t love essentially being handed money. If you know where someone likes the shop, all the better; if not, a generic “cash” gift card will allow your loved one to shop wherever his or her heart desires. You can even gift a TicketNetwork.com Gift Card.These days, you don’t even have to go from store to store to pick up the gift cards. Just pop into your local pharmacy or grocery store and find an entire wall of gift cards to choose from.